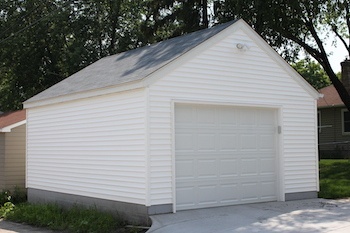 We Know Everything About Detached Garage Construction So You Don't Have To! Garage Builders are asked all the time what the standard or average 2 car garage size is for a typical City lot. The answer is always the same, that depends on your lot size and most importantly your individual needs. For instance, a 20x22 detached 2 car garage might be the perfect size for empty nesters or a young family without kids but add a couple little ones running around and all of a sudden a large 24x24 might be the perfect size. Whats really important is choosing the garage dimensions that will fit your site, accommodate 2 cars or more, plus as much storage and whatever else you need. Western Construction's size chart shows 36 different examples of 1 car, 2 car and 3 car garages. Our garage size chart also shows the width and length of several different truck, mini vans, suv's, full and mid size cars, compact and sports cars, and even boat sizes. If that wasn't enough, we also show the overhead garage door size that would best accommodate different car and truck clearances. Garage designs and plans have changed quite a bit since 1949 when Western Construction, Inc. was founded. Back in the day roof coupalas, weather veins, diamond shape overhead door windows and fiberglass door styles to name only a few were the style of the day. 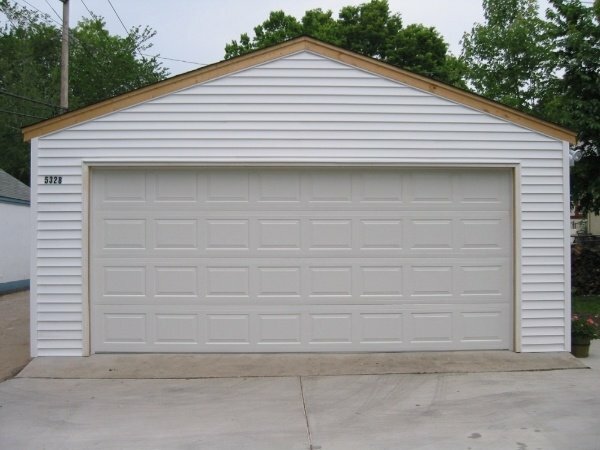 Today's popular garage plans for 2 car detached garages include, higher roof pitches, gable/roof storage trusses with floor and folding ladders for easy acess, insulated steel overhead doors, vinyl siding & windows, James Hardie fiber cement siding, Minnesota made LP SmartSide Siding just to name a few. You could pay hundreds even thousands of dollars for garage plans or you could download our FREE 12 page garage plans made for our three most popular garage designs styles. Are you building a new garage and want to learn about the construction process? If so, you've come to the right place. Any type of construction project can seem a little daunting at first. Thats why its so important to start with a garage builder (Western) who's seen and done it all thousands of times. Western Construction can show you how easy and inexpensive it can be to build your new dream garage and get the style, size, plan and storage you want and deserve. Our time tested 10 step garage construction process for How to Build a Garage guarantees your satisfaction. Tha Chazin Family has been in the garage business since 1949. How level is the area where the garage will be built? Will the garage be built on an alley or drive in from the street? Concrete, asphalt or gravel driveway? Vinyl, wood stucco, steel, fiber cement or LP SmartSide siding? What type of roof style and roof truss? 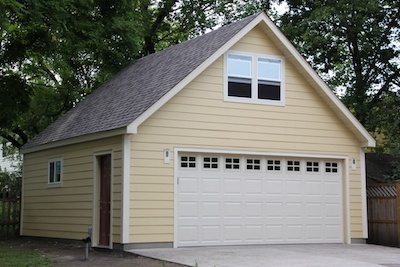 Please click on the link to get more information on what it cost to build a garage. Not sure how big of a garage you need? 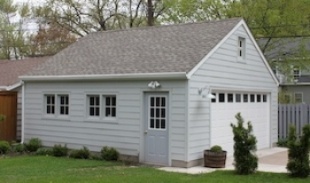 Our garage sizing guide can help you decide.